This article was first published on 8 October 2018 in the Romanian section of “The Barricade” website. The Romanian referendum through which traditionalists had hoped to define the family in the Constitution as the union of a man and a woman, and not of spouses, has failed, after the turnout did not reach the 30% threshold of the overall number of people with voting rights. By the time the polling stations in Romania closed, only 20.41% of the electorate had managed to vote. Such a development was not expected even by those with liberal and social convictions, who had boycotted the referendum, attempting to invalidate it as a consequence of low turnout. It is known that Romanians respect tradition and are religious, that the Romanian Orthodox church is a powerful institution, and that almost the whole political system supported the stricter definition of the family, which was the goal of the referendum. The ruling Social Democratic Party, the opposition National Liberal Party, and the movement of the former president, Traian Băsescu, all declared their support for the “traditional family” against the gender innovations that have been introduced in some Western European countries. That is why it is surprising that the Romanian people have chosen en masse not to show similar support for “tradition”. Reports from the two days when the referendum took place (6-7 October) showed citizens who preferred making wine and dealing with the “important” things of everyday life, rather than participating in the referendum. 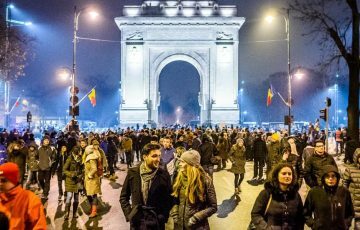 The people`s referendum took place during the week in which the prime minister, Viorica Dăncilă, was questioned in the European Parliament, because of Brussels` worry that Romania might become just another “illiberal democracy” in the Eastern part of the EU. Dăncilă gave explanations about the changes in the judicial system and about the forceful suppression of the anti-government protests on 10 August 2018, and was warned not to take the path of Poland and Hungary. This is the context in which the social democrat government and its strong leader, Liviu Dragnea, had hoped that through the referendum it would unite the people behind itself and would present itself as a protector of Romanian traditions against the onslaught of foreign values that come from Western Europe. In parallel to the agitation of the Coalition for the Family – a network of religious organisations which stands behind the referendum – various media channels expressed the opinion in the weeks before the vote, that this was “Dragnea’s referendum”, through which those involved in corruption would be able to divert attention away from themselves and receive support they wouldn`t otherwise enjoy. In this context, the Romanians’ lack of desire to validate the referendum sends a pro-European signal – that if the people in power don`t follow the road outlined by Brussels, the people will dissociate themselves from them. Another remarkable point is that the results of the referendum can be considered as another blow to the political class and especially to the so-called “old parties” of the transition, who supported the referendum. For years there has been a tendency in Romania towards marginalisation of the parties, and increased trust in unelected institutions, such as the specialised Anticorruption Prosecution Office. An embodiment of this tendency was the technocratic government of the EU Agriculture Commissioner, Dacian Cioloş, who was Prime Minister in the period from November 2015 to January 2017. Now Dacian Cioloş, who in the meantime has established a new political group (the “Romania Together” Movement), is happy. 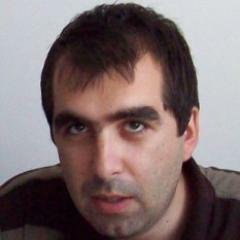 “In these two days Romania has given a lesson in democracy to its political class… It is a powerful lesson, which we all need to learn: politicians can`t trade with either the convictions, or the faith, or the expectations of the people… Now the citizens of Romania have said that they don`t want to be cheated and manipulated once again by politicians. We can see the bankruptcy of a certain method of policy-making. Those who tried to exploit the common faith of the people, who wanted to transform the church into a propaganda tool, who disseminate hatred and lies in society, in order to gain political capital from all that, have received today a clear and bitter answer from the people. It is evident that the time of those politicians and barons is definitively ending, and their place should be taken by new people, who are clean, informed and courageous, whose goal in politics is to serve the interests and well-being of the citizens. A time of respect and dignity is coming, in which the climate of hatred and intolerance, the discussions on leaving Europe and the insults addressed to Romanians will have to cease.” The “Save Romania” Union was the only parliamentary force which declared that it did not support the redefinition of the family in the Constitution. This is one of the parties which supports the fight against corruption, and the renewal of the political elite with new, clean people. It also embodies the scepticism towards the old political class of the transition. “This government needs to go. We want its resignation, because it has spent 40 million lei (around 10 million dollars) in vain. The irresponsible political class doesn`t have to hold referendums which lead to divisions in society“, said Dan Barna, the leader of the “Save Romania” Union.